What is the HomeSmart Assistant? The HomeSmart Assistant was developed and is offered by CVI Medical. We have been providing durable medical and mobility equipment to our elderly, disabled and otherwise physically challenged patients for over 20 years. We understand this population and their needs for in-home independence - and the HomeSmart Assistant is our assistive technology answer! 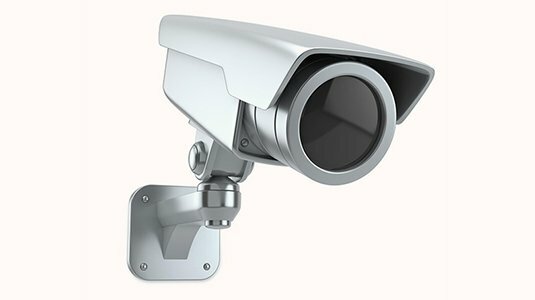 External audio / video monitor camera See and speak with visitors….. even take their picture if you wish! This image can be directed to more than one smart phone or tablet. You and/or your caregivers can see and talk to home visitors while you are in bed, at work, at the mall or on vacation. In-home monitors using Amazon Spot and Show – allows for hands-free video calling to anybody set up in your contact list who also has the app installed. Monitors allow you to watch videos, read books, the list is endless and growing every month! Front door latch with electronic keypad – also connected to Alexa, allows keypad entry for trusted visitors and you can lock the door after they leave. Latch handle is easy to use for quadriplegics with grip and grasp limitations. Integration with Open Sesame door opener (additional charge) – voice activated capability to trigger door opener using voice. We place a mounted Echo Dot on your wheelchair so you can get back in the house! Television / DVR / stereo control system – voice-activated full operation of your entertainment systems just as if you had (and could use) the remote control in your hand. 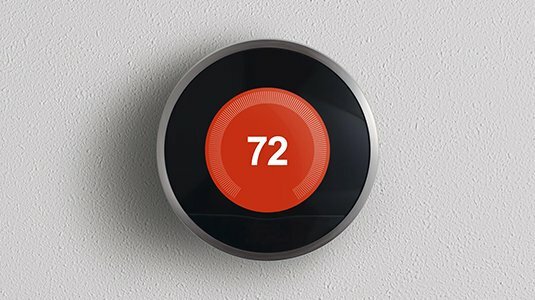 Central thermostat – voice control your home thermostat. Also allows control from a smart- phone anywhere. You can cool off the house before you arrive home! Up to six ceiling fans (fans must already be equipped with remote controls) – you can talk to the fans and even control the light package separately from the fan. Using our hub system, you can add your own switches easily we will teach you how! WiFi hub management system – allows you to see all components in your HomeSmart under one “umbrella”. I have been able to return to work knowing my son can reach me anytime and get out of the house in case of an emergency. Hooking the system to the Open Sesame made a huge difference in our lives. We “drop in” for video chats with Grandma several times a week. It’s just like sitting next to her in her home! Being able to change the temperature at night is huge. I no longer have to have my sister come over to turn on a fan when I am overheated. She loves this system! The HomeSmart Assistant allows our son to live in his own apartment independently. He is now 24 and has defined his own “new normal” as an adult. He could not do this without the HomeSmart Assistant. This system allows me to still be the “man of the house”. Even though my capabilities have changed, the HomeSmart fills in those areas where I need assistance in our affairs of daily living. My wife can no longer speak but we hooked the Tobii Dynavox to the HomeSmart system and she can control her environment again. The cost of the HomeSmart Assistant standard system is based on the “layers” you wish to install. A complete system including all three layers (Security, Environment and Entertainment) is $3,499.00. Individual layers are priced less – contact us to discuss your specific needs and we will provide a quotation. If we need to visit your home for a site inspection, we will be glad to do so at no cost to you. We accept checks and credit cards. Financing programs are available specifically designed to help disabled patients acquire assistive technology such as the HomeSmart Assistant. These low-interest loans allow for monthly payments to be as low as $100.00 for the complete system. Our customer service staff are knowledgeable in these programs and are glad to help you get approved! The HomeSmart Assistant system is the result of a joint venture between CVI Medical Florida and CVI Medical Texas. The principals have almost 40 years of experience in the home medical equipment industry. They bring a consultative approach to help individuals “Reclaim Their Independence.” They have assisted tens of thousands of patients and their caregivers with durable medical equipment to allow them to reside safely in their homes. They can now offer assistive technology with the HomeSmart Assistant to compliment durable medical equipment. 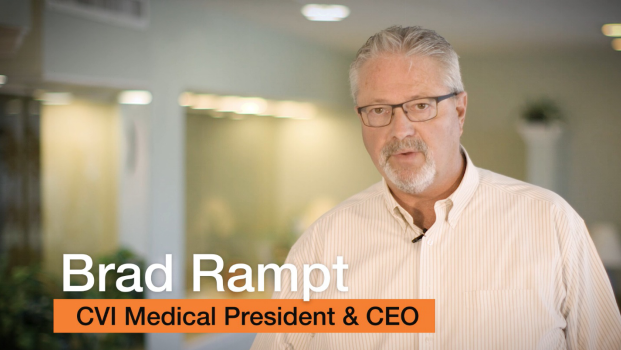 Brad Rampt is the President of CVI Medical of Florida. He is a RESNA-certified Assistive Technology Professional (ATP) and has designed medical mobility and home equipment over a 20-year career for over 2,000 quadriplegics, paraplegics and otherwise physically challenged patients. Before this, Mr. Rampt worked as an IT consultant at Price Waterhouse for almost 20 years. Mike Coughlin is the President of CVI Medical of Texas. Over 19 years, Mr. Coughlin has met the needs of thousands of elderly and disabled population for in-home medical equipment through his retail location in Dallas. Before this, Mr. Coughlin also worked as an IT consultant at Price Waterhouse and as a Captain and helicopter pilot in the US Army. What kind of solution is the HomeSmart Assistant? Security layer – we place one or more A/V cameras outside your home (typically at the front door) which brings an audio and video signal to a monitor in the home. You can see and talk to your visitors without going to the door. We also install electronic door latches with keypads that can be controlled to lock and unlock from a smart-phone. If the home has an automated door opener such as Open Sesame, we can make it voice-activated for opening and closing. We install monitors in the home which are also voice-activated. The user can initiate and receive video calls to contact others in the case of emergency or just to “drop in” on family members and stay connected! Environment layer – we install devices so you can voice-activate and change the temperature on your thermostat, turn ceiling fans on and off, open and close automated drapes and turn lamps and other devices on and off. In fact, we can make almost any device which can be controlled by a remote control voice-activated. Entertainment layer – you can voice-activate your television, cable box, sound bar and stereo. We have even integrated gaming systems such as the Sony PlayStation. The HomeSmart Assistant also benefits caregivers since increased independence for their patient means increased free time for the caregiver! I’m not sure I know all our requirements nor all the capabilities of home automation systems. Can you advise us? Yes. We will conduct a site assessment of your residence, listen to your needs and jointly identify the best system to match your goals and budget. Do I have to worry about contracting with electricians, plumbers, home entertainment companies or carpenters. No, we will successfully manage all phases of the project. Yes, we honor and support manufacturer’s warranties on all our products and installation efforts. CVI Medical has been working with quadriplegics, paraplegics and the elderly as a durable medical equipment provider for over 20 years. As such, we understand the desire and challenge of this population to reside safely and independently in their homes. Do you interface with Alexa or Google? 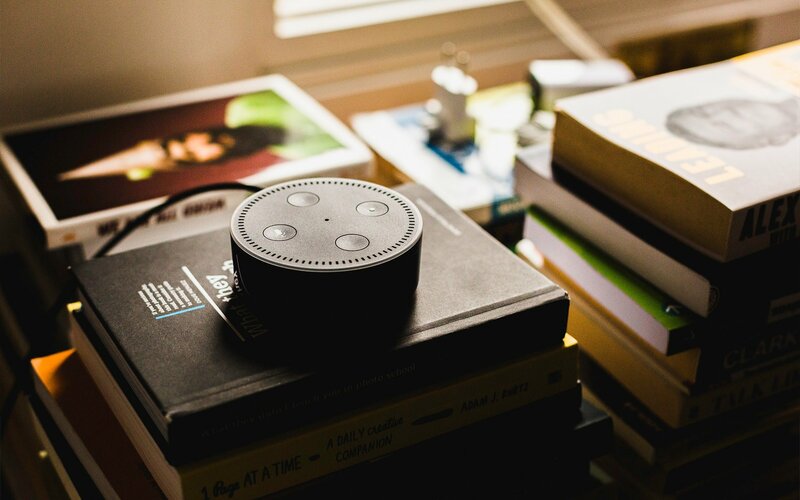 We provide solutions with both Amazon Alexa and Google Home systems. Can you integrate with home entertainment systems? Yes. We have successfully merged our HomeSmart Assistant solutions with home entertainment systems. 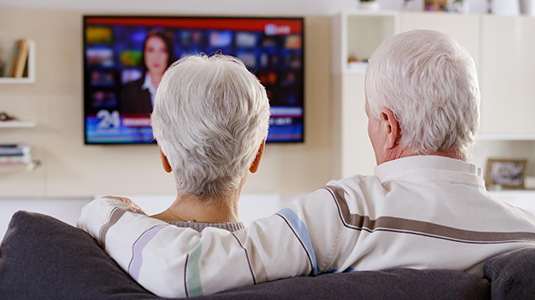 Our technicians and engineers are constantly challenged with integrating our solutions with our customer’s environment – including DVR players, stereos, sound bars and even gaming systems. Do you have a solution for a person who cannot talk? Yes! We have successfully interfaced HomeSmart Assistant with augmentative communication devices such as the Tobii Dynavox. Do you install home security systems? We are not a “home security system” company with monitored services. We are a home automation company specializing on the needs of the physically challenged. One of the layers of our HomeSmart Assistant is security as described above. What are these types of solutions called? These systems are known as Environment Control Unit (ECU) and Electronic Aids to Daily Living (EADL)..
HOME SMART ASSISTANT © 2018. ALL RIGHTS RESERVED.